Organization is at the top of many ‘To-Do’ lists. Get started today with your garage storage and organization task today with the Monkey Bars Garage Storage System. It’s the most efficient and durable system of garage storage San Diego has to offer. 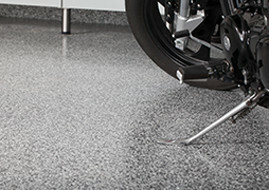 Strength & Durability – You can count on the quality and durability of our garage storage in San Diego. We offer industrial grade steel shelving systems, durable melamine cabinets and commercial grade garage floor coatings. Store thousands of pounds of storage items right in your own garage! Highly Efficient – With Monkey Bars Garage Storage Systems, you can store all your items in a 1/3 less of the space than other storage plans. 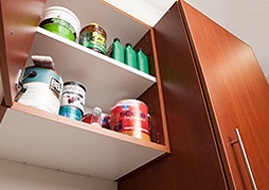 Our system is designed to maximize on a limited amount of space, organizing everything neatly on shelves and hooks. Our steel shelves are durable and able to hold up to 1,000 lbs of your storage items. 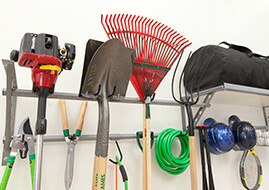 Store large boxes and totes, hang bikes and yard tools all on a single Monkey Bars shelf. 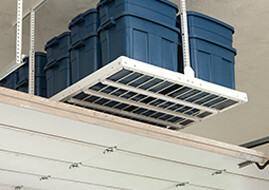 This is just one of the many great storage and organization products we offer. Contact us today to find out how we can help you get organized. Save money and rid yourself of the need for costly off-site storage facilities. Our garage storage in San Diego is a one-time investment that helps you store a large amount of items in a small space. After figuring out what you need, we do our best to craft the perfect plan with in your budget. Our garage storage plans are made specifically for you which means that our plans meet all your needs and goals. Our garage storage in San Diego allows you to store up to three times more than a traditional shelving or garage system. We know that you've been looking for a storage solution that is durable but offers easy access to your favorite things. Look no further! 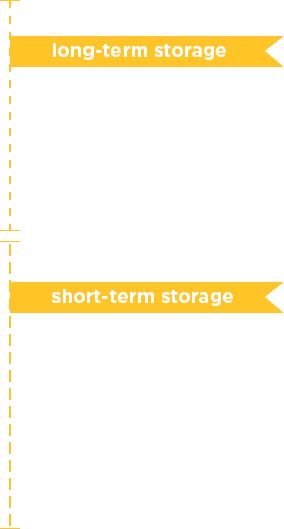 When we craft a personalized storage plan for you, we make sure to keep all the most frequently used items in the garage within reach. It's time to pull the trigger and get the garage you've been dreaming up for years! Make your dream a reality by calling for a free estimate on your garage. Carmel Valley, Rancho Bernardo, La Jolla, Rancho Bernardo, Rancho Penasquitos, Scripps Ranch, Clairemont, Pacific Beach, Ocean Beach, Poway, Chula Linda Vista, La Mesa, Carlsbad, Santee, Escondido, San Marcos, Encinitas, Ramona, Coronado and all of San Diego County.